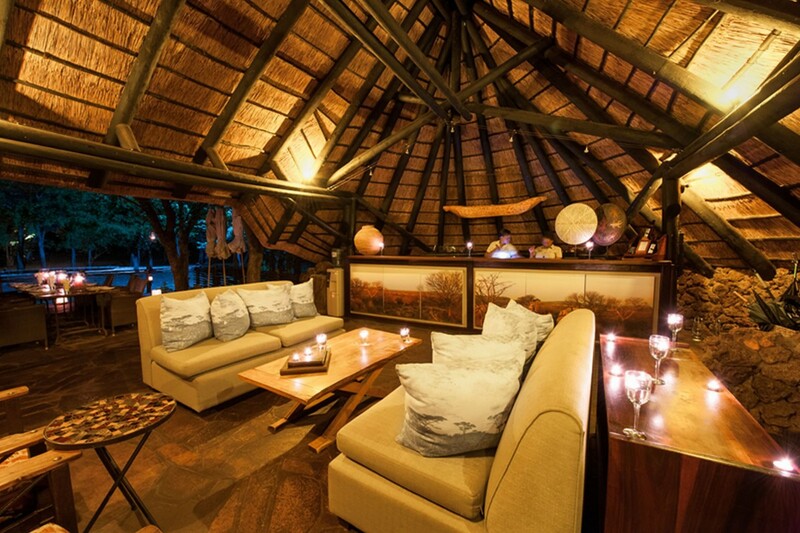 Ongava Tented Camp is an elegant, intimate lodge set amidst a wildlife-rich patch of mopane woodland in the Ongava Private Game Reserve adjoining Etosha National Park. Accommodation is in 8 large and neutral coloured Meru-style tents with comfortable beds and private bathrooms including an outdoor shower. 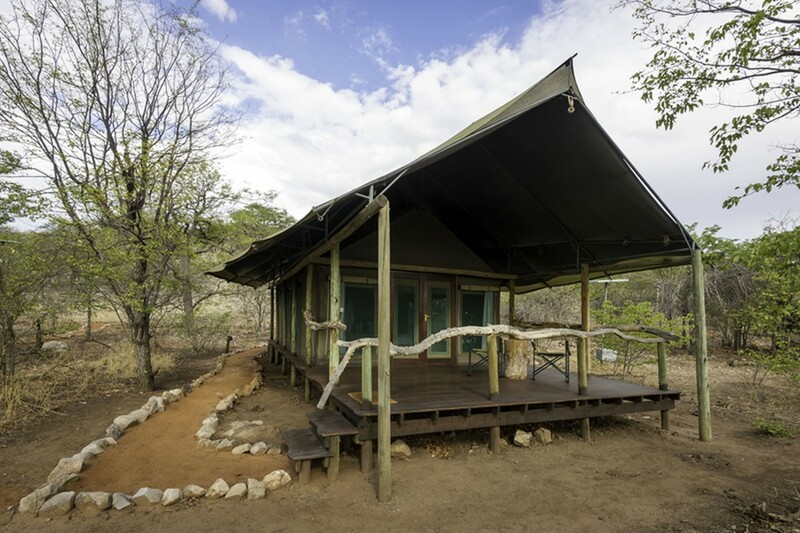 There is a private outdoor decking area for each tent with seating for relaxing and watching wildlife coming and going from the nearby waterhole. The main building is an attractive stone, canvas and thatch construction with well-stocked bar, sitting and dining area. 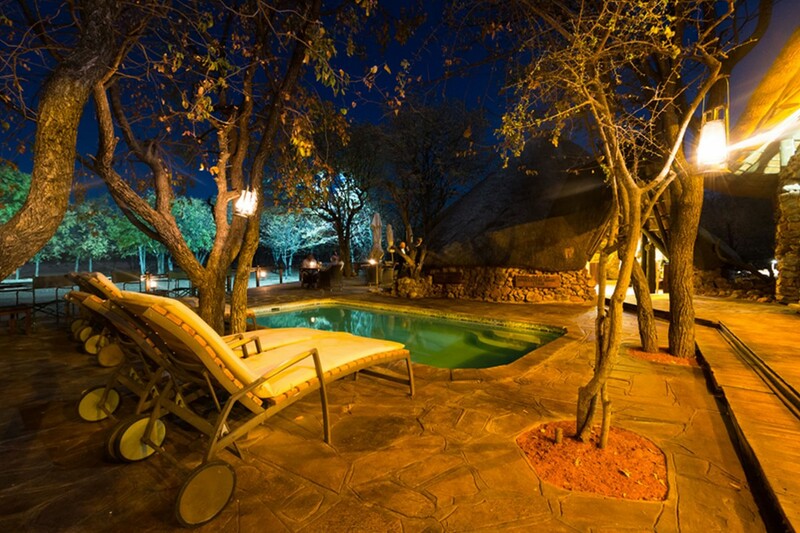 There is a communal decking area with sun loungers and small swimming pool overlooking the waterhole, where a selection of herbivores including kudu, zebra, giraffe, waterbuck, springbok and even white rhino come to quench their thirst. 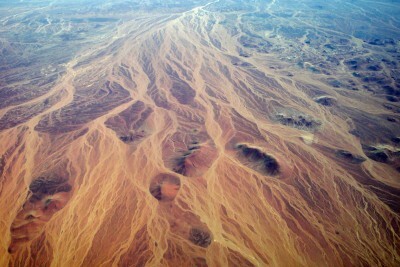 Lions also appear from time to time. The camp can accommodate 16 people and there is a separate tent for families that sleeps an additional four. 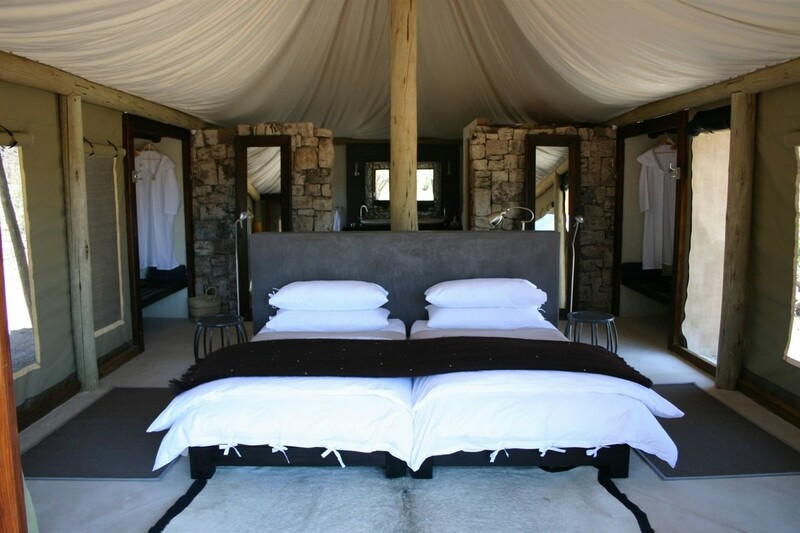 Activities at the camp include game drives and walks in Ongava Game Reserve and within the nearby Etosha National Park. 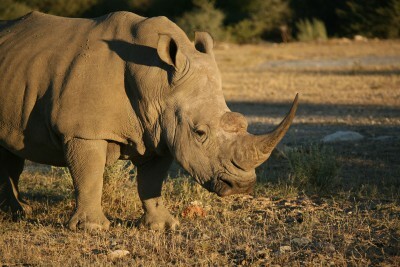 Tracking of white rhino on foot with guides is one of the more exhilarating experiences. There is a motion sensitive camera set up at the waterhole to allow visitors to see what wildlife has visited during the night. 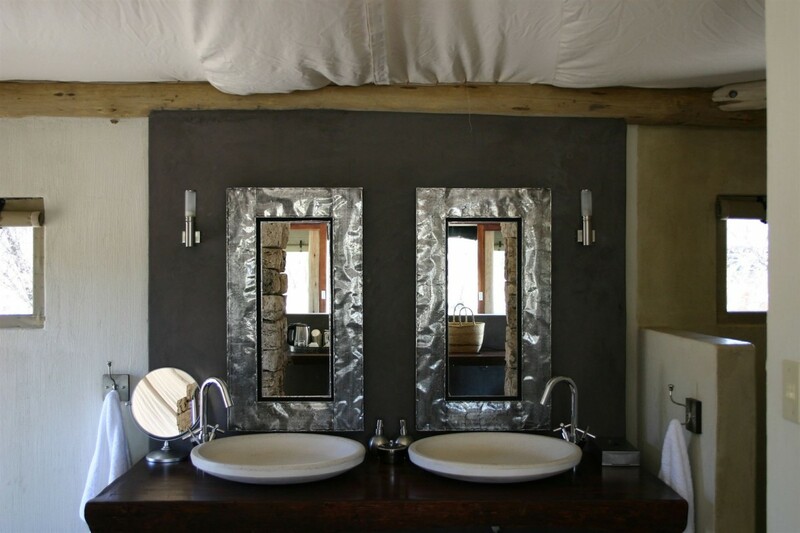 Private bathrooms, outdoor showers, ceiling fans. 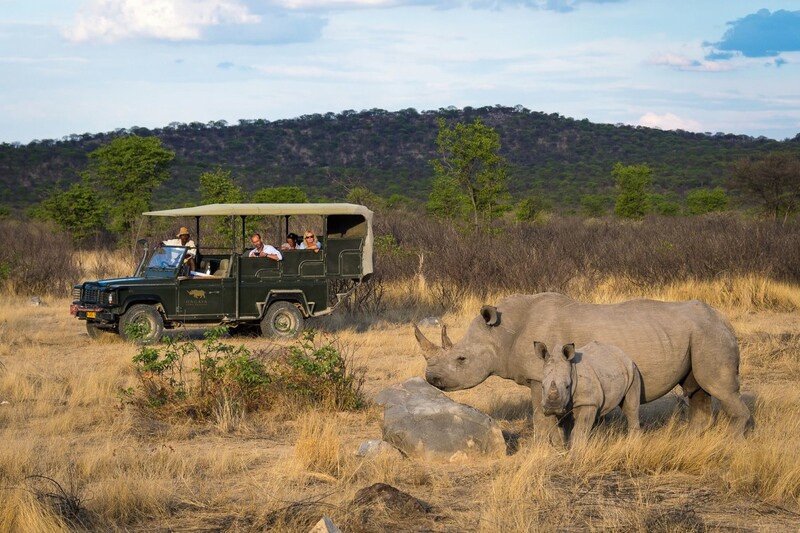 The Ongava Private Game Reserve is one of the few places in Africa where guests can reliably see both black and white rhinos. 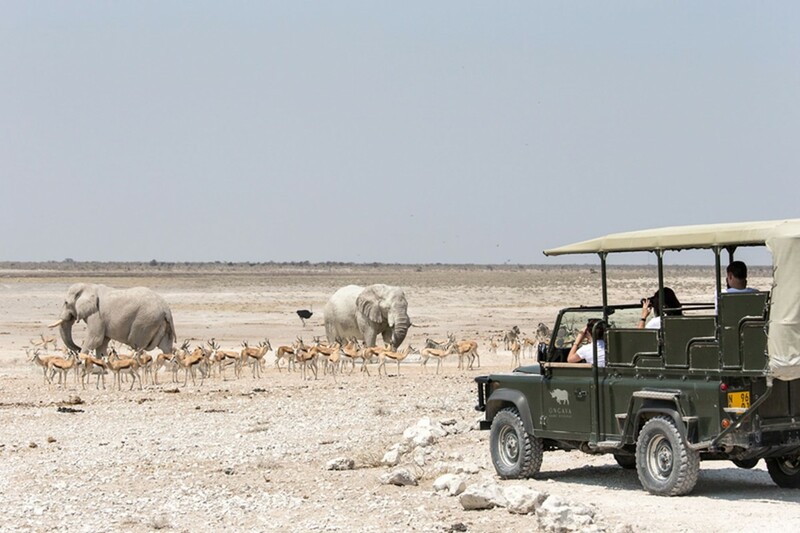 The Ongava Reserve and nearby Etosha National Park are home to 114 species of mammal including lion, leopard, African wildcat, spotted hyena, bat-eared fox, aardwolf, honey badger, elephant, springbok, kudu, Damara dik dik and the elegant black faced impala. 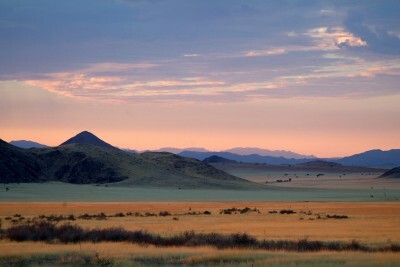 All of 340 bird species occur in the area including 14 Namibian endemics, and there are reptiles such as Etosha agamas and the rare Anchieta's dwarf python. 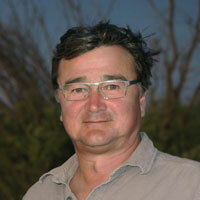 Game drives and walks, rhino tracking and evening sundowner drives, during which snacks and drinks are served. 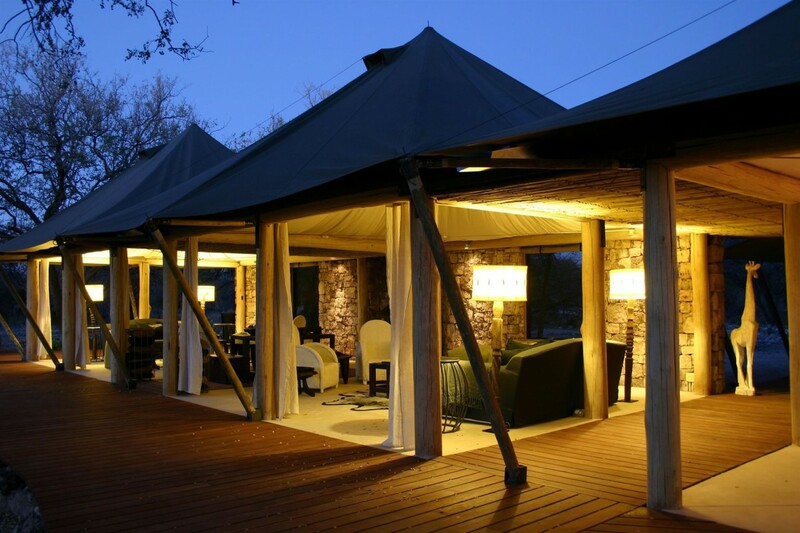 Within the same reserve is the less expensive, bigger Ongava Game Lodge, and the premium-level, exclusive Little Ongava: we think the Tented Camp is the best option for its position and atmosphere, but the other two are excellent options as well, depending on budget.